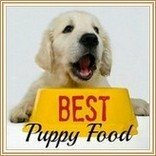 Puppy Food Comparison Charts & Info. 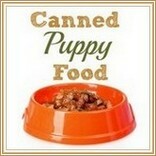 Using a puppy food comparison chart can help you see which foods offer the right balance of nutrients for your puppy. 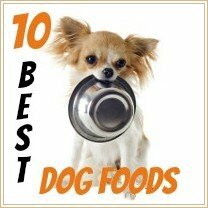 What you feed Fido has a huge impact on his future growth, health and development, so it's important to make sure that you know which are the best puppy food choices. Making an accurate comparison can be tricky because there's just so much information, mis-information and hype out there! The good news is that the charts on this page make it easy for you to compare the ingredients, nutritional percentages and additives/vitamins in some of the more popular brands. The most important part of any formula is the ingredients list, and the FIRST 3 INGREDIENTS ARE THE MOST IMPORTANT of all. A good source of animal-based protein (chicken/lamb/beef etc.) preferably organic/human-grade. 'By-products' are not recommended. 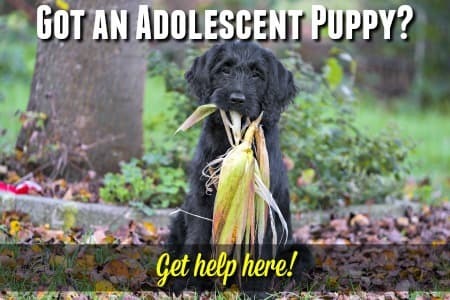 You can find everything you need to know about feeding your puppy - including an in-depth look at ingredients, labeling, regulations and more - on my Puppy Kibble page. 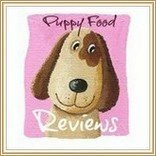 To take this a step further, you can Click here to find out how to rate ANY puppy food according to the quality of it's ingredients! When it comes to the ratio and percentages of specific ingredients, the AAFCO (The Association of American Feed Control Officials) set minimum guidelines that all puppy foods should meet. 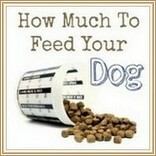 The minimum is 22% protein but an average puppy food will contain around 25%. Puppy food especially designed for small breeds should contain a higher percentage of protein than those formulated for large breed puppies, due to their different nutritional needs. Fat is generally around 15%, but again is often quite a bit higher in small breed puppy food than in the ones designed for large breed puppies. In this second puppy food comparison chart the figures for Crude Protein, Crude Fat and DHA/Omega-3 fatty acids are shown as the minimum values each food should contain. The figures for Crude Fiber and Moisture are the shown as maximum values. 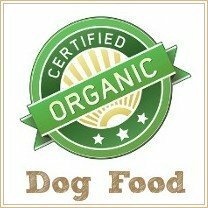 One other thing to consider when you're looking at puppy food ingredients, is the allergen factor. Some breeds, and some individual puppies or dogs, can suffer from allergies, and certain ingredients are more likely to cause problems than others. The most common 'culprits' include (but are not limited to) corn, wheat, soy, dairy, eggs and beef, plus rtificial ingredients such as colors/preservatives/flavors etc. 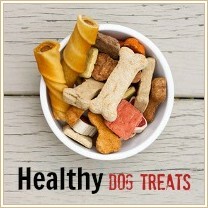 Dog food allergies are more common than you might think and if your pup/dog seems to be itchy all the time, or has recurring ear infections or irritated skin, then this could be the reason why. *Sensitivities to ingredients are not as serious as allergies and are more likely to cause tummy upset such as chronic vomiting or loose stools (without other signs of illness).